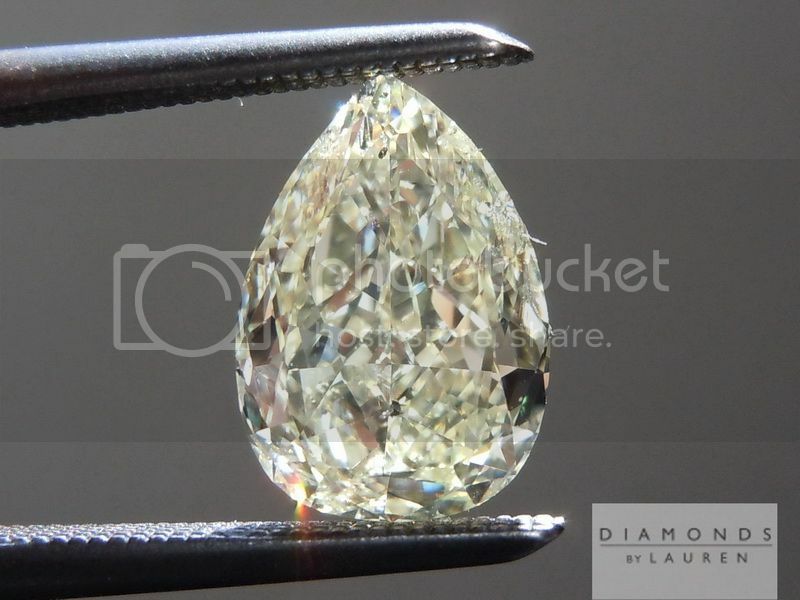 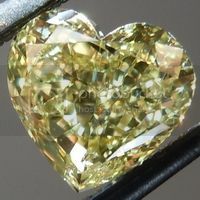 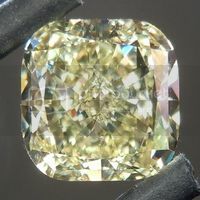 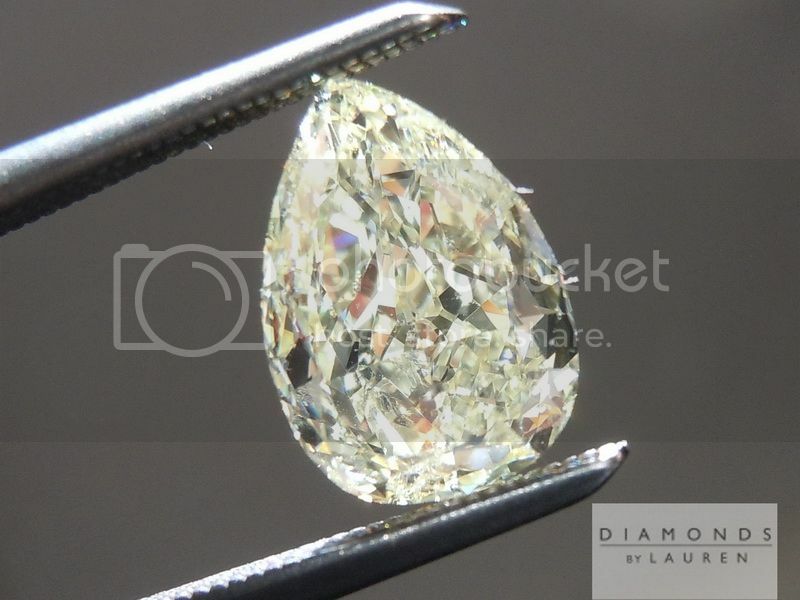 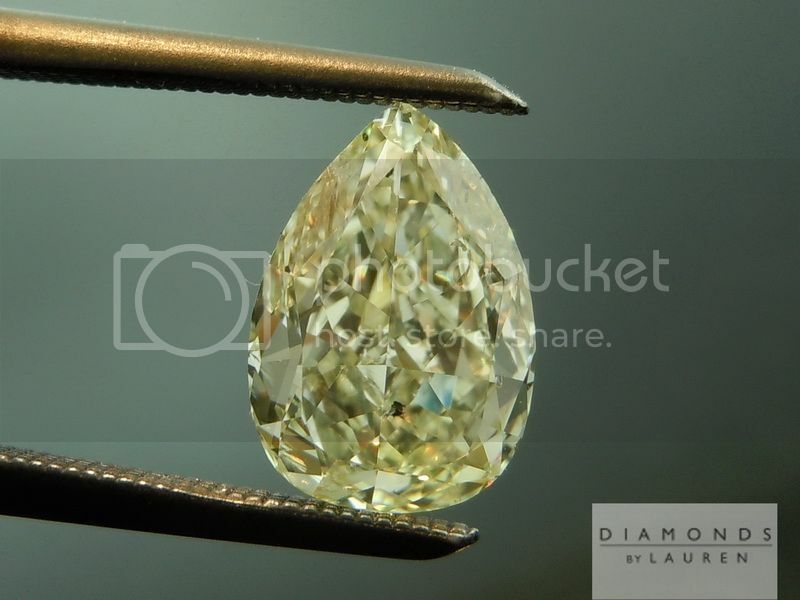 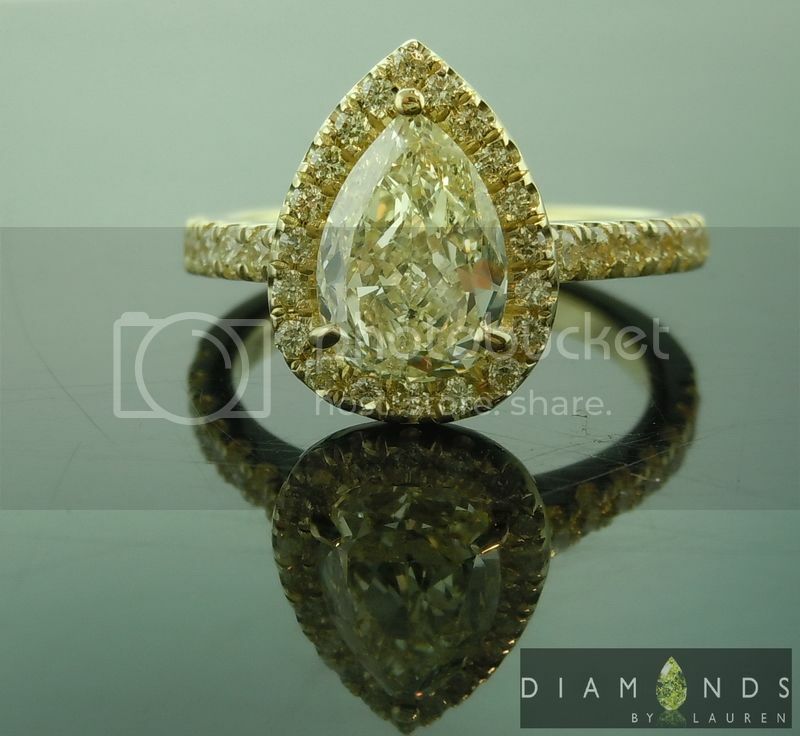 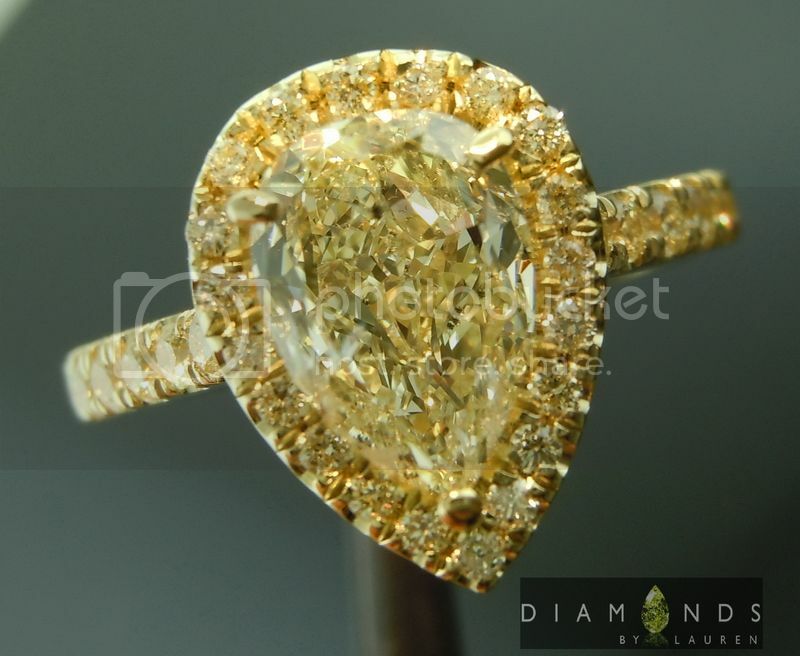 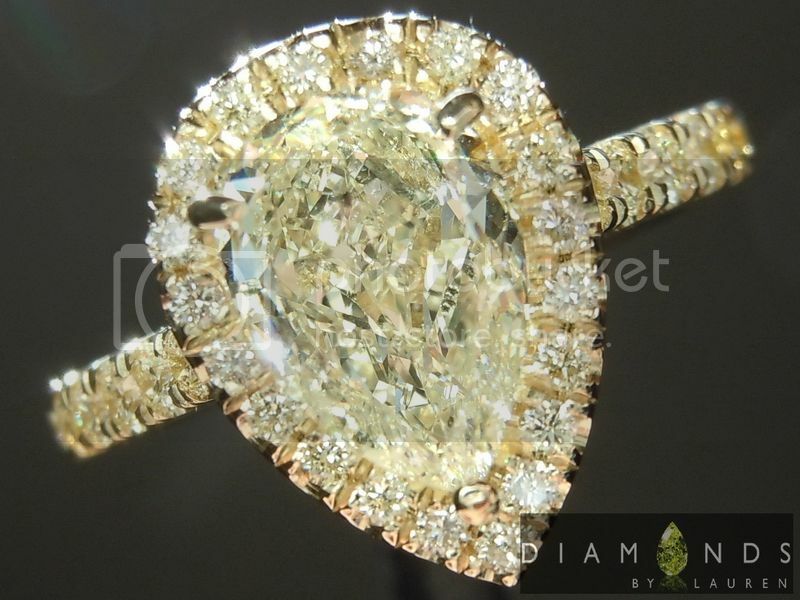 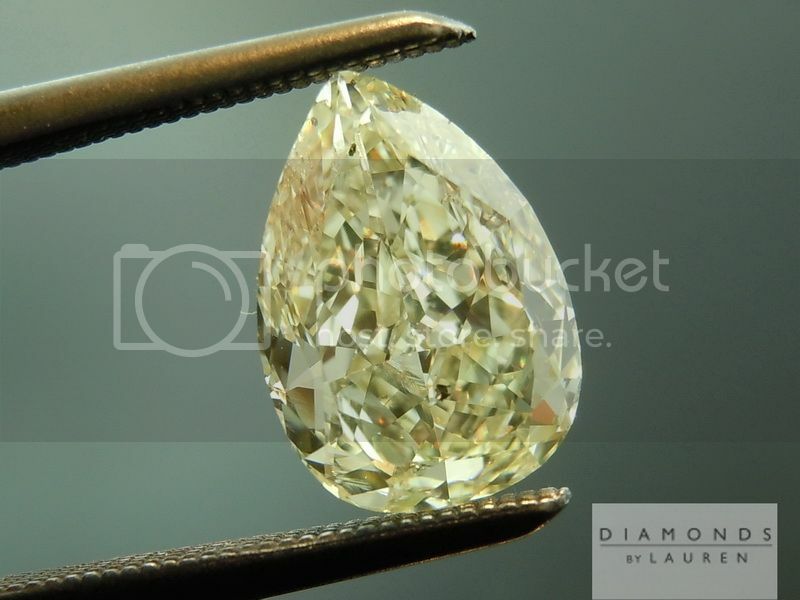 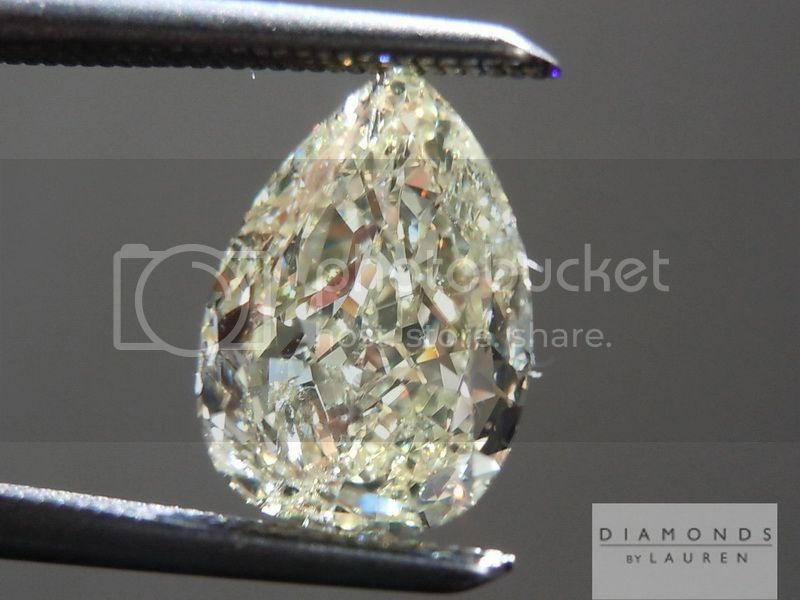 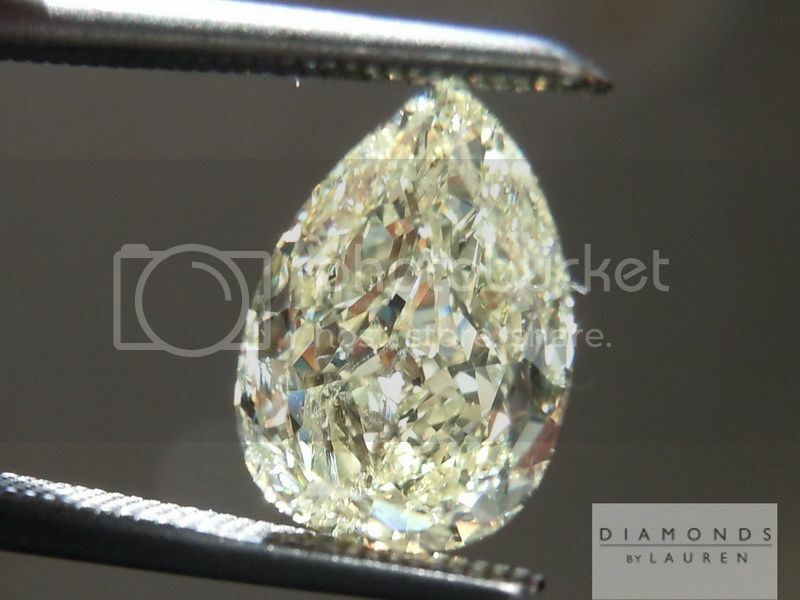 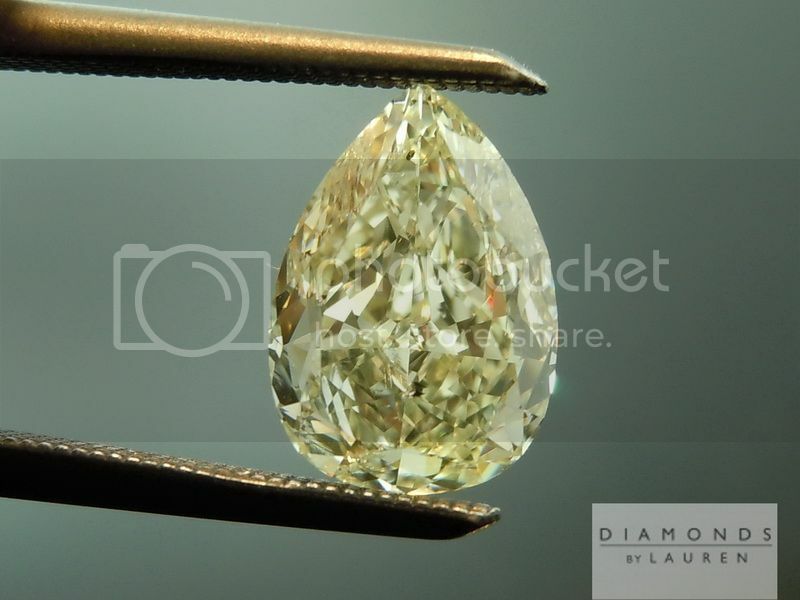 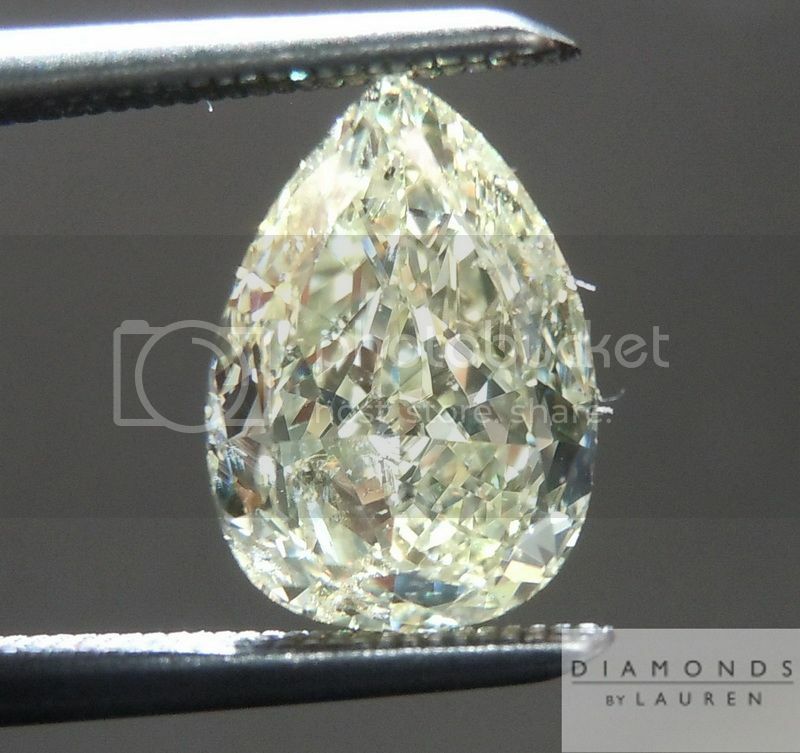 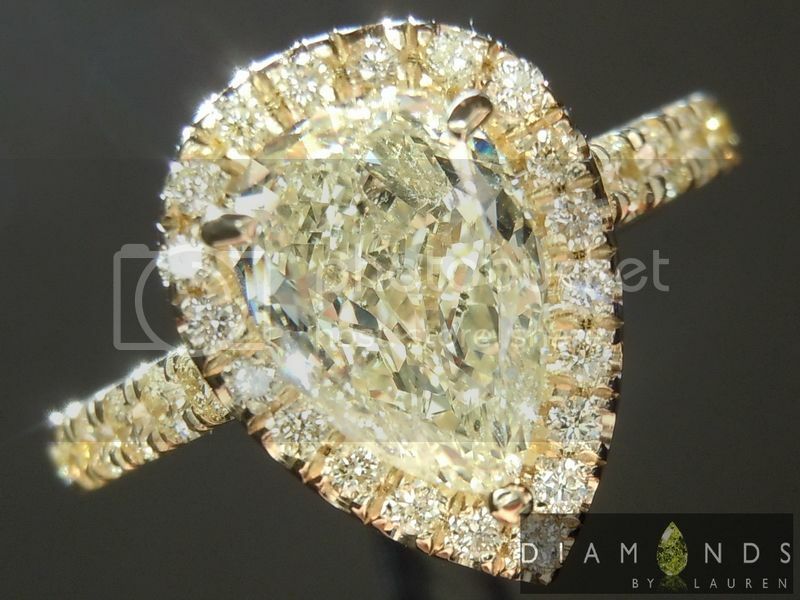 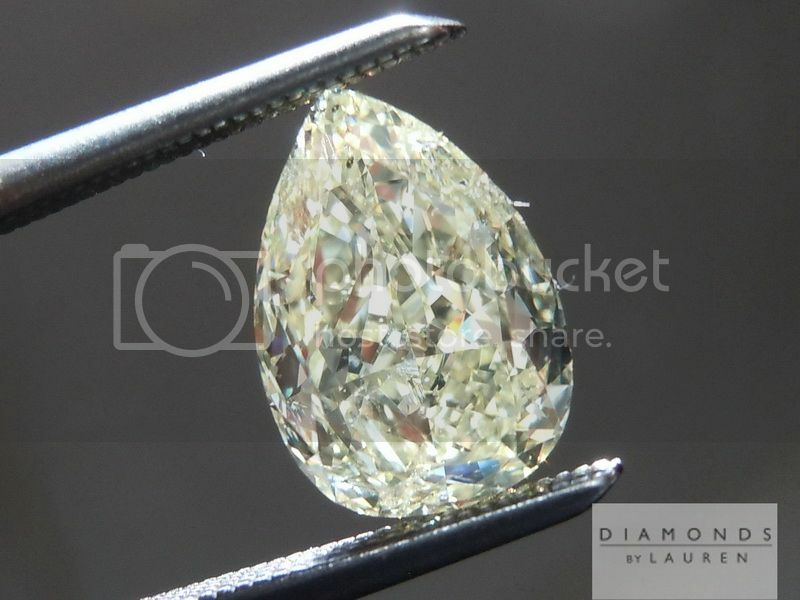 Here is an amazing value in a Natural Light Yellow Pear Shape Diamond. 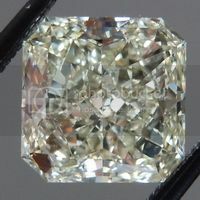 The reason it is such an attractive price is the clarity grade GIA would give the stone. 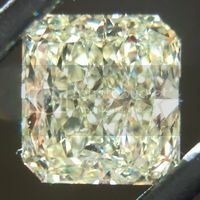 The GIA report is for color only. 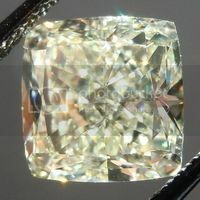 We graded it SI2 - there is a small carbon spot that may be visible to some, under certain lighting. 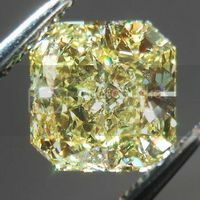 The way I look at it, an imperfection that does not impact overall brilliance, but may be visible at times is not necessarily a bad thing. 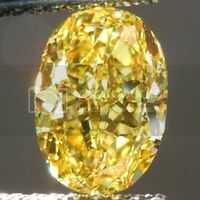 If it is made up for by a reduction in price, you can buy a larger stone than you might otherwise be able to - like this one.I love the cut - there is a lot of brilliance and the stone looks quite large for a 1.50ct. 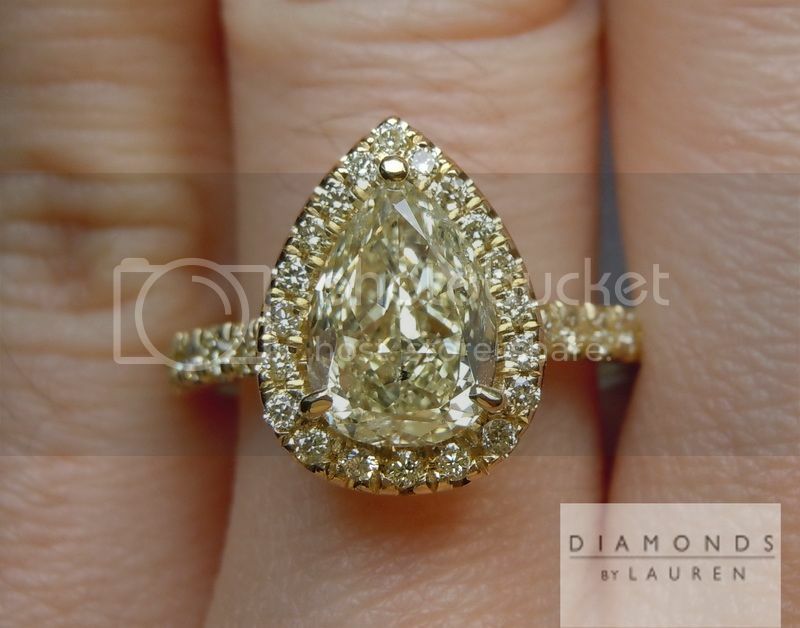 There's no "bow-tie" effect. 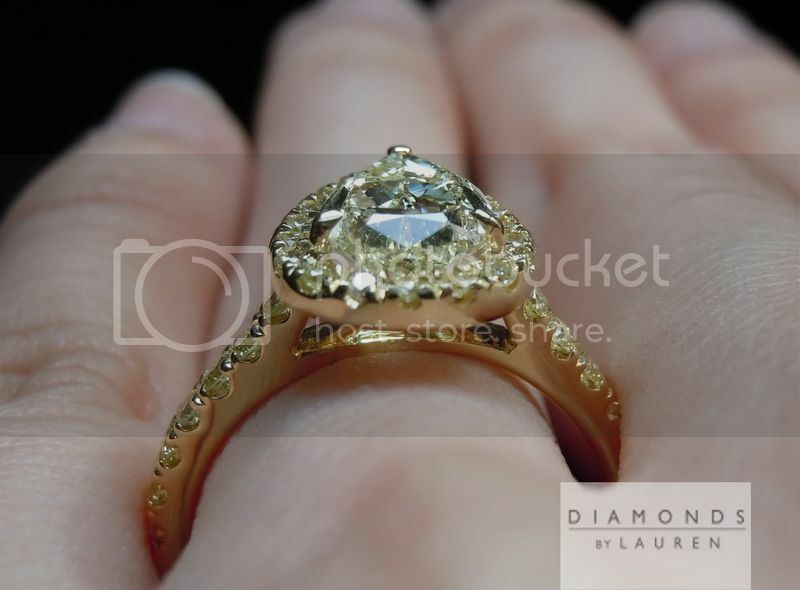 Now that she's set, her birthmark is all but invisible. 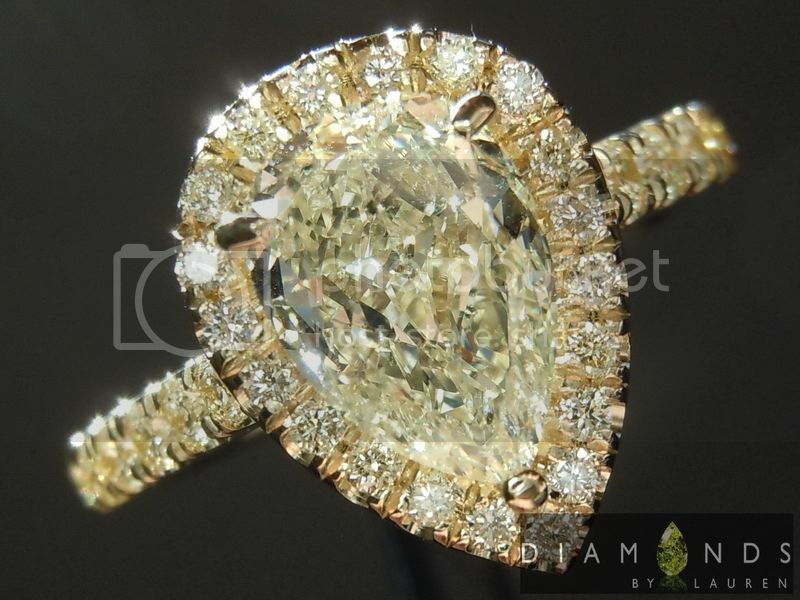 It's completely obscured in sparkle. 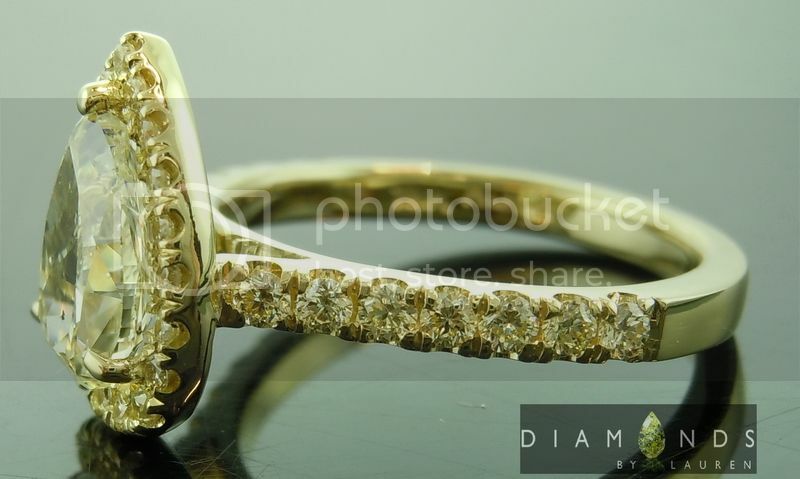 The piece is so luxurious - all 18kt yellow gold, with a generous 2.3mm shank. 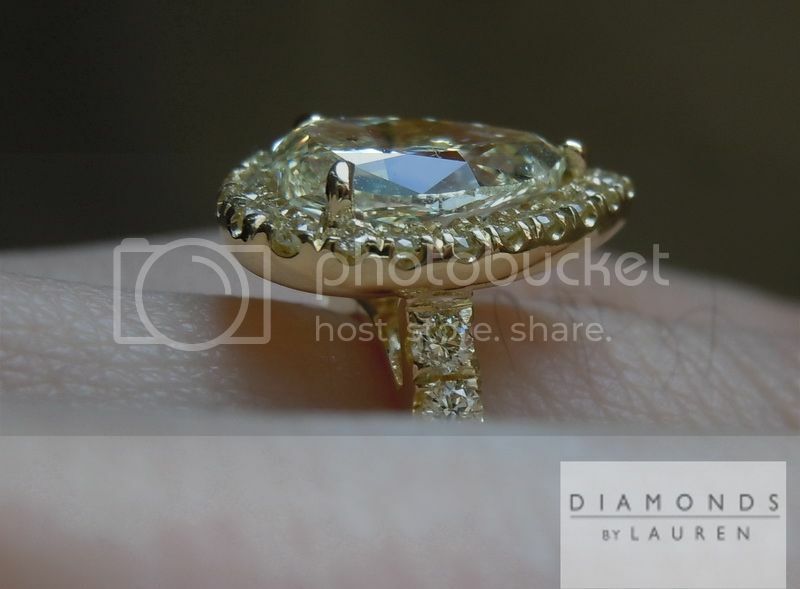 It's lovely to the touch.